In another exclusive, Barclaycard presents British Summer Time Hyde Park brings one of THE great albums live to London. On July 10th, Stevie Wonder will perform his masterpiece Songs In The Key of Life in its entirety, for a truly epic, must-see show from one of the most prolific artists of all time. Hugely acclaimed in the US, Songs In The Key of Life Tour has run for 18 months, having been extended many times due to phenomenal public demand. Coming to the UK for the very first time, there is extra reason for celebration because 2016 is the album’s 40th Anniversary year. Released in 1976 on the legendary label Motown Records, featuring the hits Sir Duke, Isn’t She Lovely and I Wish, it is cited as an influence on many of the world’s biggest stars, Elton John, Prince, Michael Jackson and Pharrell to name a few. It was crowned Grammy Album Of The Year in 1977 and is widely hailed as a true work of art. It followed an unsurpassed trilogy of albums that graduated Wonder from teenage Motown prodigy to true artist - Talking Book, Innervisions and Fullfillingness' First Finale - all released in the first 4 years of the 1970s. Wonder spent 2 more years on 'Songs', producing a double album of enthralling music and cementing his position as a musical genius. Together, the albums made the 25-time GRAMMY winner the only artist to have ever received Album Of The Year awards in three out of four consecutive years. Elton John - "Let me put it this way: wherever I go in the world, I always take a copy of Songs In The Key of Life. For me, it's the best album ever made and I'm always left in awe after I listen to it. When people in decades and centuries to come talk about the history of music, they will talk about Louis Armstrong, Duke Ellington, Ray Charles and Stevie Wonder." Barack Obama (on his musical heroes) - "If I had one, it would have to be Stevie Wonder. When I was just at that point where you start getting involved in music, Stevie Wonder had that run with Music of My Mind, Talking Book, Fulfillingness' First Finale and Innervisions, and then Songs In The Key of Life. Those are as brilliant a set of five albums as we've ever seen." Kanye West - "I’m not trying to compete with what’s out there now. I’m really trying to compete with Innervisions and Songs In The Key of Life. It sounds musically blasphemous to say something like that, but why not set that as your bar?" Barclaycard presents British Summer Time Hyde Park hits its fourth year in 2016, firmly established as the essential London summer event. 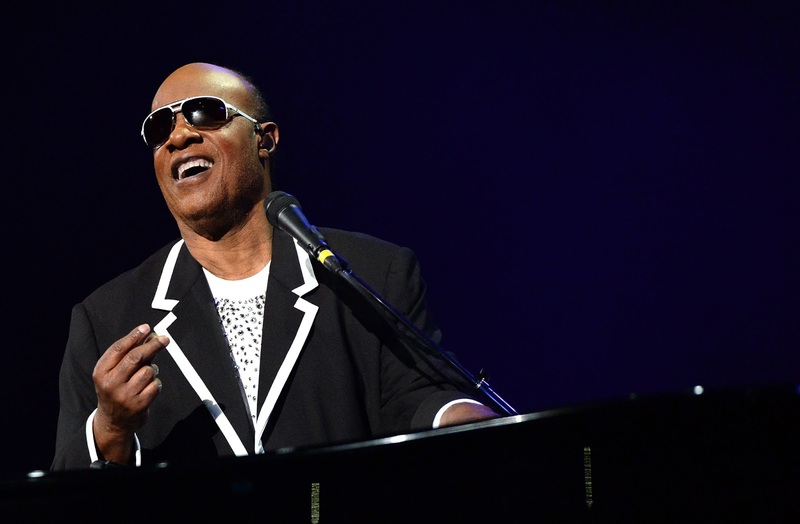 Alun Mainwaring, Head of Events at The Royal Parks, said: "It is a massive honour for Stevie Wonder to choose Hyde Park as the only UK venue to perform “Songs In The Key of Life”. July 10 is set to be a fitting finale to what will be another unforgettable 10 days of entertainment at Barclaycard presents British Summer Time Hyde Park. This is the fourth year for the event which has created so many memorable moments for hundreds of thousands of fans and in turn raised vital funds which go back into conserving and enhancing this iconic park."